If you’re planning a shopping trip with your toddler, you’ll be crossing fingers you can get him around town without a tantrum. But that’s easier said than done in crowded shops and long lines. Youngsters can quickly become bored, anxious, weary and uncomfortable, and once they start screaming, it’s hard to stop them. 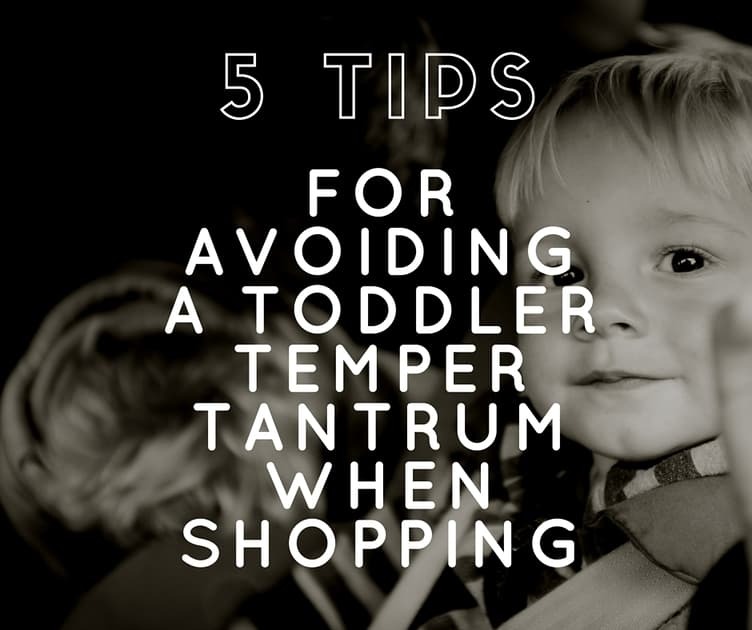 But here are some simple, cost-free ways to keep your tot calm and smiling as you shop. A small child can feel overwhelmed in a crowd of milling shoppers. He’ll only be able to see their lower halves, and those shuffling legs may be all he can see of anything. Meanwhile, the rumble of voices, feet and traffic may be all he can hear. The sound of your voice in his ear will be comforting, and he’ll relish your attention too. Talk to him about the shops you’re heading for, or the goods you hope to buy — anything will do. Sing a song to cheer him, helping him to join in. Eye contact is also important at such times, and he’ll be glad of your hand around his. A short walk for you may be a long one for your child, so let him rest whenever possible. If he’s dragging his feet, he probably needs a sit-down or a bit of fun. Or maybe his shoes are uncomfortable, or his ears too cold? Check that he’s warmly wrapped when outside, removing a layer or two when inside the hot, stuffy shops. If he’s in a stroller, he’ll want a leg-stretch now and then. Lift him up for a look at the busy street from your level, and see the rapt expression in his eyes. Take a bottle of water for regular sips, and a light snack to keep him going. He’ll need a toilet or a change too, of course — maybe several. There’s plenty to interest a young child in town. Show him bright shop windows and merry Christmas lights. He’ll like the traffic lights too; help him identify the colors. If there’s a busker in the shopping mall, let him watch the act or listen to the music a while. A ride on an escalator or in a glass elevator would make a wonderful treat, especially if he thinks you’re as excited as he is. What other fun can you find for him? Make the outing meaningful for your youngster. Ask him to pick up an item for you from a shop shelf, or let him make a color choice for something unimportant, such as a toothbrush or notebook. In the checkout line, invite him to hold something (unbreakable) for you — unless he’s too busy playing peek-a-boo with you round the carriage. If possible, lift him up to see the items on the counter. Giving him attention at such times may be inconvenient, but a tantrum would be more so. Besides, his happiness is yours too. A little praise goes a long way, and he’ll lap up every bit you give him on that shopping trip, whether it’s for patience, quietness, or helpfulness. He’ll love your praise as much as an edible treat, though both would be even better. But best of all will be your hug at the end. Shopping trips can be fraught affairs with a toddler in tow, but these simple strategies will keep you both smiling. If you’re seriously worried about behavior problems, despite your precautions, it might be better to leave him in the care of your partner or a capable relative while you shop. That way, you’ll be able to browse stress-free, knowing your child is happy too.